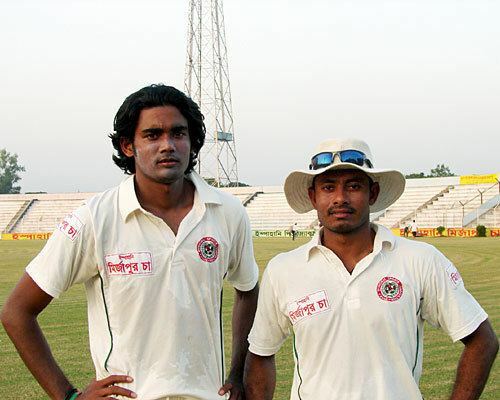 Mohammad Sharif (Bengali: মোহাম্মদ শরীফ) (born December 12, 1985 in Narayanganj, Dhaka) is a Bangladeshi cricketer who played in 8 Tests and 8 ODIs from 2001 to 2002. He was called in the national side after five years for the Bangladesh tour of Zimbabwe for ODIs, and was recalled for tests after five and a half years for the Indian tour of Bangladesh. However, he did not shine very much in either, and so his future in the Bangladeshi cricket team looks uncertain.